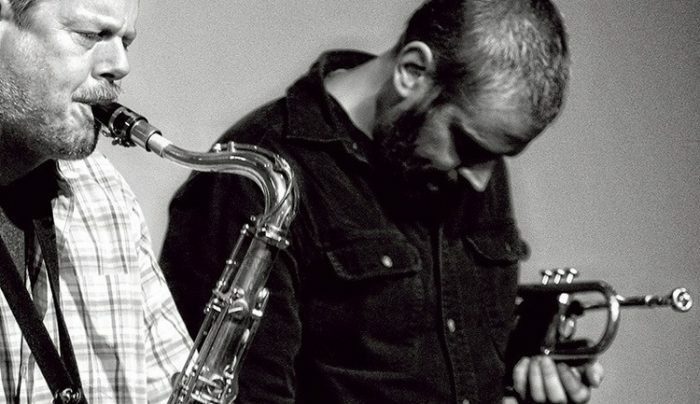 Ken Vandermark/Nate Wooley + Klaus Holm/David Stackenäs LIVE! With this unique ensemble, they deal directly with each other’s iconoclastic compositional and improvisational vocabularies, and have created a book of original material that takes inspirational cues from the under-appreciated work of John Carter and Bobby Bradford. Gjorde sin debut på Kontak-festivalen i Tromsö, Norge 2013. Stackenäs/Holm arbetar tillsammans för att skapa en organisk kombination av improvisationsmusik, modern komposition och folktradition.